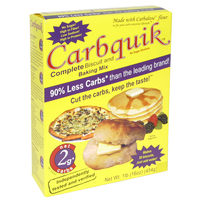 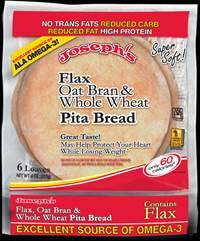 Ingredients: MALTITOL, COCOA BUTTER, CHOCOLATE LIQUOR(PRCESSED WITH ALKALI), PECANS, MILK, SORBITOL, CALCIUM CASEINATE(MILK), WHEY PROTEIN(MILK), MILK FAT, CONTAINS 1% OR LESS OF THE FOLLOWING: UNSALTED BUTTER(MILK), SOYA LECITHIN(AN EMULSIFIER), NATURAL AND ARTIFICIAL VANILLA FLAVOR, NATURAL BUTTER FLAVOR, NATURAL AND ARTIFICIAL CARAMEL FLAVOR. 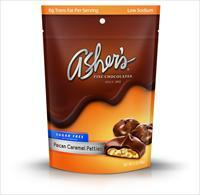 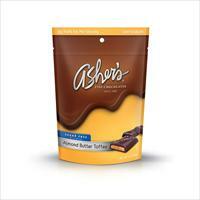 From Asher's Chocolates, "Creamy chocolate is chock-full of chopped pecans and gooey vanilla caramel. 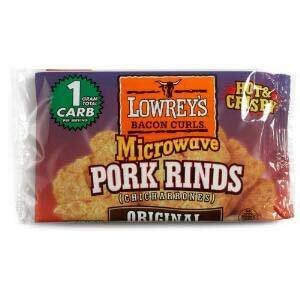 They’ll never guess it’s sugar-free."